Interested in agroecology and applying its transdisciplinary lens to local farms and issues? Please consider our summer graduate course PSS 311: Introduction to Agroecology. 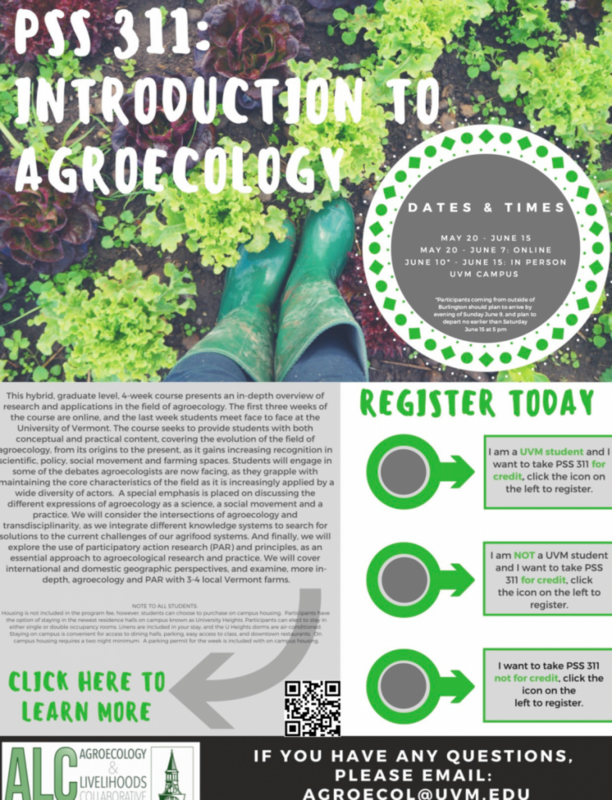 This course can be taken as a stand-alone or as the first course of our Certificate for Graduate Study in Agroecology (CGSA). We also offer it as a non-credit option, which, in addition to students, draws professionals and practitioners working in the field. This brings together a diverse community to learn and share different perspectives and experiences. If you have any questions, please contact Emily Harrington (agroecol@uvm.edu).